← Thank you KIND Snacks! 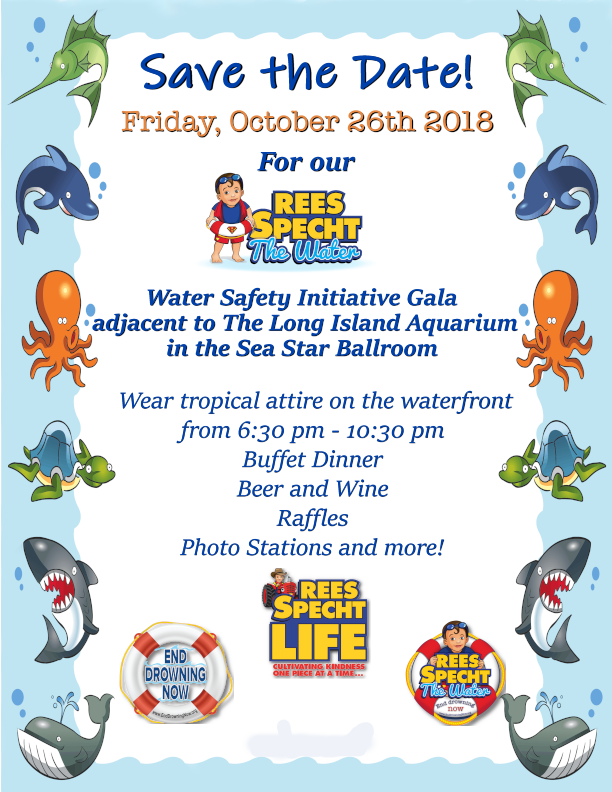 Join us on Friday, October 26th 2018 as we host our first annual “ReesSpecht the Water Gala”. Help support our mission to End Drowning Now as you enjoy a night of great food, dancing, and raffles at the Sea Star Ballroom next to the Long Island Aquarium! Tickets and sponsorship opportunities will be available soon! Check back here or on social media sites for updates. We hope to see you there!